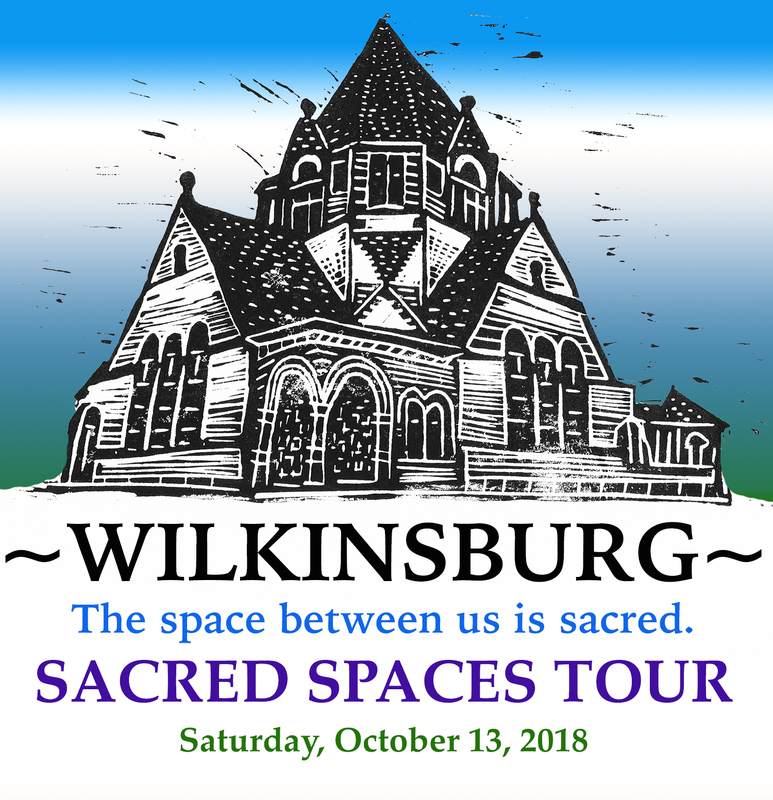 On Saturday October 13, 2018 we presented a “Sacred Space Tour” of churches, mosques, and historic buildings with arts programming. Activities are free and open to all ages. There were over 25 stops open for the tour, most hosted a visual or performing artist. The tour is self-guided: walk, pogo, bike or hop on our free shuttle bus. We invite you to be part of this event, presented by the Wilkinsburg Community Development Corporation, the Wilkinsburg Arts Council, the Office of Public Art, Neighborhood Allies, in partnership with Preservation Pittsburgh, the Pittsburgh History and Landmarks Foundation, Wilkinsburg Historical Society, Pittsburgh Urban Christian School, and the Rotary Club of Wilkinsburg/Rotary Square. Click on our detailed Google Map to learn about the history of each location. Ken Chute is a longtime Wilkinsburg resident, who attended Wilkinsburg High School. He worked in book publishing and design. He writes poetry and documents his experiences through photography. He will be reading some of his poetry for the event. Gershon Mitchel is a teacher and human rights advocate on the subject of human dignity. He was born in Wilkinsburg, and after a life of teaching and adventure, has returned to Wilkinsburg. He will share his thoughts on the importance of how treating each other with dignity is the foundation of our society. St. Mark A.M.E. Church, like many of Wilkinsburg’s churches, has a congregation of talented, disciplined, and dedicated people. Just a few years ago, several members of the church formed a Cultural and Drama Ministry for the expressed purpose of utilizing member’s talents to bring to life many Bible stories and spiritual lessons. Original costumed presentations have been given at Christmas time, New Year’s Eve, Good Friday, and Easter Sunday. This year, as part of the Sacred Spaces Tour, a short play has been written based on the Biblical book of Job. To find out more about the The Cultural and Drama Ministry’s efforts, to directly participate in them—or to otherwise loan support, you may contact the playwright, Clifton McGill. 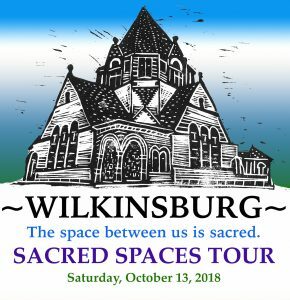 Clifton is long-time resident of Wilkinsburg, and is also a Wilkinsburg community block watch leader, and a member of Preservation Pittsburgh’s Religious Architectural Heritage committee. David Westfall is the organist of the Second United Presbyterian Church. He will play the pipe organ as the resident musician. Eli Alfieri, a member at Mifflin Avenue United Methodist Church, is a young musician from Woodland Hills High School who is currently doing a jazz internship with Tony Campbell. He will be playing some jazz music as well as some of his own music. “Come Over, Come Eat, Come Play” is a community art project that includes pop up events around the Borough of Wilkinsburg in 2017 and 2018: food events, domino games, dance parties, workshops and park programs. 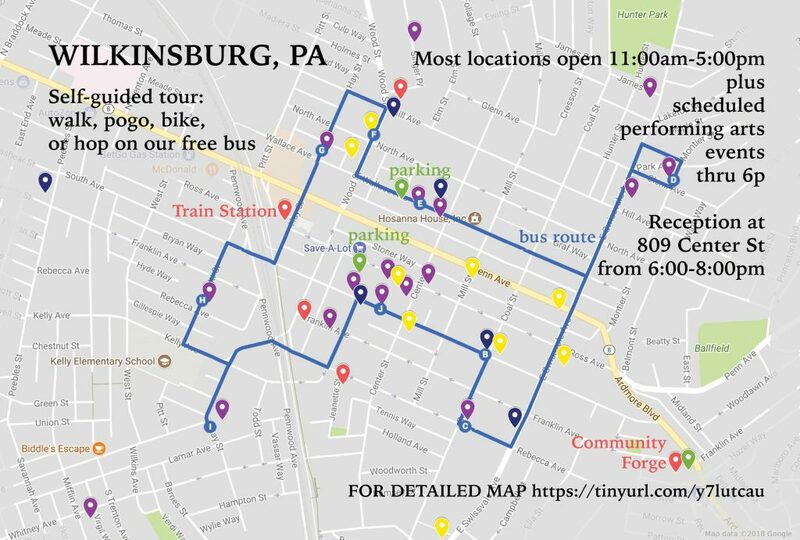 The events are to build connections within the community and to engage residents about what is beautiful in Wilkinsburg: diversity, historical architecture, and a small community rebuilding trust. Jennifer Chenoweth is documenting the historical architecture in Wilkinsburg through drawings, photos, and events. Follow us on Facebook to see more photos of the project. “Come Over, Come Eat, Come Play” by Jennifer Chenoweth in collaboration with the Wilkinsburg Community Development Corporation and the Wilkinsburg Community Art and Civic Design Commission with sponsorship by the Temporary Public Art and Placemaking Program of Neighborhood Allies and the Office of Public Art of Pittsburgh. How did this come to be? In 2016, The Office of Public Art of the Greater Pittsburgh Arts Council announced a call for artists to be artists in residence within a community. A series of six temporary works of public art were created in these Neighborhood Allies’ target neighborhoods: the Hill District, Homewood, Larimer, Millvale, Wilkinsburg, and the Southern Hilltops (Allentown-Beltzhoover-Knoxville). This program is supported by generous funding from the Hillman Foundation and The Heinz Endowments. THANK YOU! Caliban Books! With my favorite book title.